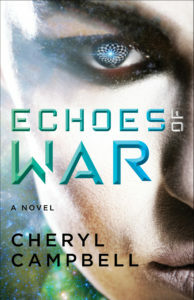 Echoes of War, Book One of the Echoes Trilogy, releases Sept 10, 2019. SparkPress. Pre-order at Amazon, IndieBound, or Barnes and Noble today! I read Burnt Mountain Monster Within this was an wonderful, exciting book The Chapters are short which is good. .There are surprising twists and turns that you don’t expect. Once you start reading you can’t put the book down. The end of the book is a great lead in to the second book and I can’t wait to read it..